PARAMARIBO - There has been new and intense diplomatic activity between the Russian Federation and Suriname. The two countries are preparing to sign agreements on military cooperation and a visa-free regime, according to the director of the Russian Latin American Department, Alexandr Schetinin. 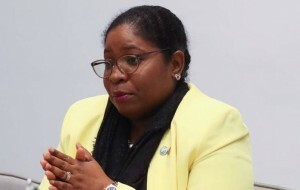 Schetinin added that Suriname’s minister of foreign affairs, Yldiz Pollack-Beighle, will visit Moscow in late October. “The agreement on visa-free travel for citizens is about to be signed and after we sign it with Suriname, all of South America will become a visa-free space for Russian nationals,” he told the Russian Parliament. “The military cooperation agreement is also ready and the members of the ministry of defence are ready to sign it in the near future,” he added. In addition, Schetinin indicated that Russia and Suriname have already signed a bilateral agreement to initiate contacts between the two countries in an effort to enhance bilateral ties. The diplomat noted that in the last two years Suriname has made “a strong effort to develop relations with Russia”. In September 2016, Russian foreign minister, Sergey Lavrov, met with the then foreign minister of Suriname, Niermala Badrising, on the sidelines of the 71st session of the UN General Assembly in New York. Then in September 2017, Lavrov met with Pollack-Beighle in an effort to expand trade and economic ties. They also agreed to cooperate within the UN and UNASUR. Just last week the Russian non-resident ambassador to Suriname, Sergey Marilyn, presented his credentials to Pollack-Beighle. The ambassador indicated that Russia is willing to assist Suriname in healthcare and took an assessment of the country’s health care needs. Suriname is the only country in South America where Russia does not have an embassy and Suriname has encouraged Russia to open a mission in Paramaribo.